Benito Mussolini, who would become Italy's notorious Fascist dictator during the 1920s, was born on this day in 1883 in a small town in Emilia-Romagna known then as Dovia di Predappio, about 17km south of the city of Forlì. His father, Alessandro, worked as a blacksmith while his mother, Rosa was a devout Catholic schoolteacher. Benito was the eldest of his parents' three children. He would later have a brother, Arnaldo, and a sister, Edvige. It could be said that Alessandro's political leanings influenced his son from birth. Benito was named after the Mexican reformist President, Benito Juárez, while his middle names - Andrea and Amilcare - were those of the Italian socialists Andrea Costa and Amilcare Cipriani. Working in his father's smithy as a boy growing up, Mussolini would listen to Alessandro's admiration for the protagonists of the Italian unification movement, such as the nationalist Giuseppe Mazzini, and the military leader Giuseppe Garibaldi. But he also heard him speak with approval about the socialist thinker Carlo Pisacane and anarchist revolutionaries such as Carlo Cafiero and Mikhail Bakunin. Alessandro's view would leave a lasting impression and, one way or another, shape the direction his son would eventually follow, although initially Benito saw himself as a traditional socialist. Sent away to boarding school, Mussolini qualified as a schoolteacher but did not take up the profession, instead moving to Switzerland in order to avoid national service. It was there that he first became politically active. He studied the ideas of the philosopher Friedrich Nietzsche, the sociologist Vilfredo Pareto, and the syndicalist Georges Sorel, who advocated the violent overthrow of capitalism and liberal democracy. He also found much that he approved of in the writings of the Marxist Charles Péguy. 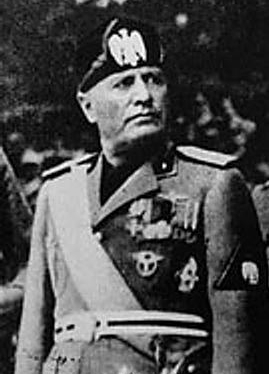 Mussolini was twice expelled from Switzerland, once after being arrested in Berne for trying to foment a general strike and violent uprising, the second time for falsifying his papers in order to return. He did in time manage to secure a legal way back into the country and studied at the University of Lausanne before taking advantage of an amnesty granted to those who had evaded national service and returning to Italy. A condition of the amnesty was that he joined the army but once his two-year stint was complete in 1906 he became a leading figure in the Italian Socialist Party (PSI). In the years that followed he would edit the left-wing newspaper Avanti and spend five months in jail following a riot he had helped organise in protest at Italy's invasion of Libya, which he denounced as "imperialist". 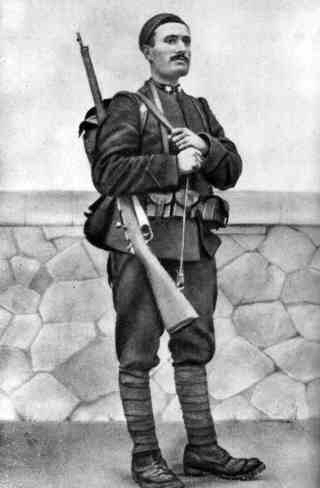 However, his position on Italy's involvement in armed conflict changed and he was expelled by the PSI because of his opposition to the party's neutral stance on the First World War. He saw intervention as an opportunity to further the revolutionary aims of the left, particularly by overthrowing the Habsburg monarchies in Germany and Austria-Hungary. By then, continuing to be influenced by his father's belief in nationalism and by Nietzsche's views on the merits of elitism, he began to lose faith in orthodox socialism, believing that national identity had become more important than class struggle in forging the kind of society that was central to his vision. He now envisaged a brand of socialism in which the removal of class divides was still key but which also depended on strong, decisive leadership and which recognised culture, tradition, language and race as elements of a nation's identity that should be protected. It was the beginnings of what would become known as Fascism. Predappio's embarrassment at being turned into a place of pilgrimage for neo-Fascists has been addressed by the town's Mayor, who has finally forged an agreement that the former regional headquarters of Mussolini's party, a dilapidated three-storey building in the centre of the town, is renovated as a musuem, not to pay homage to the former dictator - whose remains are buried in the local cemetery - but as a place of education and reflection. The museum is due to open in 2019. 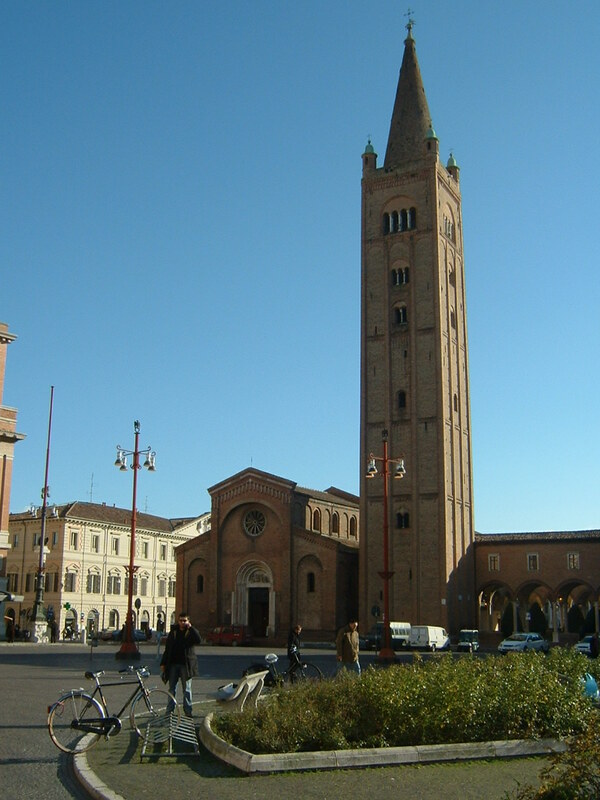 The main square in Forlì, Piazza Aurelio Saffi, is named after the politician Aurelio Saffi, a radical republican who was a fervent supporter of the nationalist revolutionary Giuseppe Mazzini, one of the driving forces behind the Risorgimento and the unification of Italy in the 19th century. There is a statue of Saffi in the square, which is dominated by the 12th-century Abbey of San Mercuriale and its 75-metre bell tower, one of the tallest in Italy.